Bulldogs new signing Danny Cowling. Batley Bulldogs have continued their recruitment drive by signing highly-rated young prop or second row James Harrison and centre Danny Cowling. Harrison is son of former Bulldogs coach Karl Harrison and came highly recommended by Matt Diskin following a spell with the Bradford Bulls Under-19s last season. 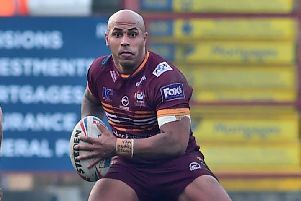 At 6ft 5in tall, Harrison is sure to add size and strength to the Bulldogs pack and Batley beat off a number of other clubs to capture his signature. Cowling made his professional debut with Wakefield Trinity, playing two Super League games for the Wildcats, before joining Halifax and then Doncaster, where he made 13 appearances and scored two tries last season.